Today's Google doodle salutes Clara Rockmore, a virtuoso at playing the Theremin which evidently inspired the Rolling Stones and led on to the once-popular Moog Synthesizer, for which I used to own a copy of Bach's greatest electronic hits. It was interesting one time, just annoying after that. This all begs the question, "What the heck is a Theremin??" Well, it's a large, dark piece of furniture that would look quite at home in your den next to the cabinet with your good china in it, except for 2 or more metal antennae sticking out of it. As it turns out, instead of china, your lovely Theremin is packed with electronics that are designed to do one irritating thing: emit loud feedback when you cause interference by waving your hands around between those antenna. 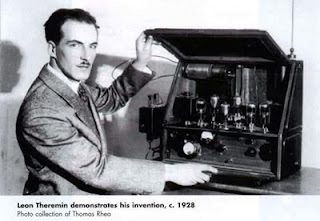 Mr. Theremin, who invented the Theremin, discovered in his russian lab that by gracefully moving your hands within the electric field between the 2 antenna you could control the noise created by the interference and actually make spooky musical notes. 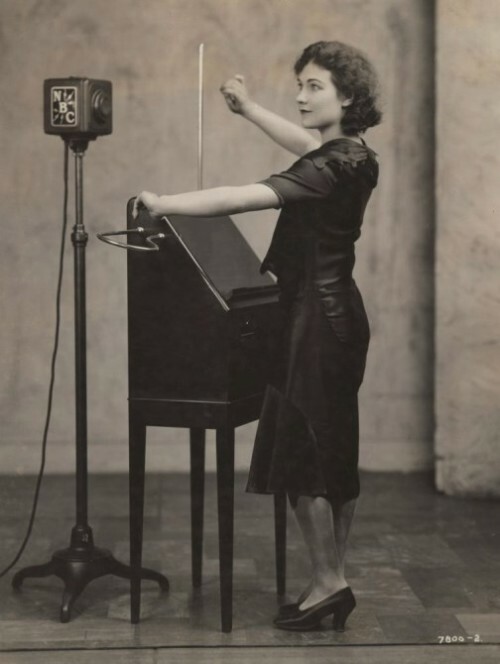 For Theremin players like Ms. Rockmore it provided the added performance value of hypnotic hand-dancing for the audience during the concert. Theremins hit the big time right after WW II so you hear them in creepy science fiction movies of the 1950s like The Day the Earth Stood Still and The Thing (From Another World). The Beach Boys play a quasi-Theremin (controlled by a knob and a slider) in Good Vibrations. Someone once described Theremin music as, "a cello lost in a dense fog, crying because it does not know how to get home." Soon enough though Theremin fever cooled when the public got sick of it and musicians moved on to newer, better instruments -- like the Moog Synthesizer. But a nostalgic 1993 movie called Theremin: An Electronic Odyssey reignited interest in the old thing. Less awkward miniaturized Theremins are now available. Composers are writing Theremin concerts and Sheldon is playing one on Big Bang Theory.